WAPDA is one of the important and necessary departments in Pakistan. WAPDA stands for Water and Power Development Authority. In 1958 it was established through an Act of Parliament. WAPDA is running under the administrative control of Federal Government. The Authority of WAPDA is comprised of a Chairman and three members that are Water, Power, and Finance. WAPDA is serving the best experience and service to the nation under the supervision of highly qualified and experienced officers. XEN stands for in WAPDA. There is a number of official posts in WAPDA, but we are going to discuss two of them that are XEN (Executive Engineer) and SDO (Sub Division Officer). Executive Engineer and Sub Division Officer are the two main and responsible posts in WAPDA. The below given are details about the XEN And SDO Stands For In WAPDA. XEN stands for Executive Engineer In WAPDA. Executive Engineer is the senior position in WAPDA (Water and Power Development Authority). There are so many official posts are present in WAPDA. XEN is one of them. In order to become an Electrical Engineer in WAPDA, you must have MSc Electrical in power. There are so many job opportunities are prevailing in WAPDA. In order to become XEN, there are following responsibilities and duties are handed over to the Xen executive engineer. In order to assure the facility of PPE/T&P the XEN checks the HT/LT length of all line in all divisions. He checks the PPE/T&P of all divisions every month and adds remarks regarding this on the register. During working hours XEN have to check the working ability of Line Staff and take quick action on the violence of necessary precautions. To assure the ground clearance service of HT and LT lines. In case of any electricity incident, visit the accidental place and inform the WAPDA Head Quarters. SDO stands for Sub Division Officer In WAPDA. If you want to become SDO you must be matriculate. Sub Division Officer is the most honorable post in WAPDA (Water and Power Development Authority). 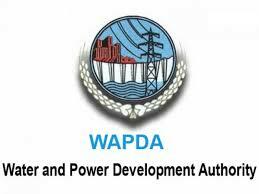 There is following responsibilities sub division officer in WAPDA which are listed below in detail. To assure the attendance of all line staff. Conduct monthly PPE/T&P parade and safety lectures and transfer written report to the XEN Office. Hence, WAPDA is working under the supervision of trained and experienced officers which are performing their duties very well. Every year WAPDA declare a huge number of recruitments for interested eligible candidates of Pakistan. WAPDA is also working on Water and Hydropower resources to eliminate the shortage of power in Pakistan in order to become a successful country in the world in term of power. it is all about the XEN stands for in WAPDA.